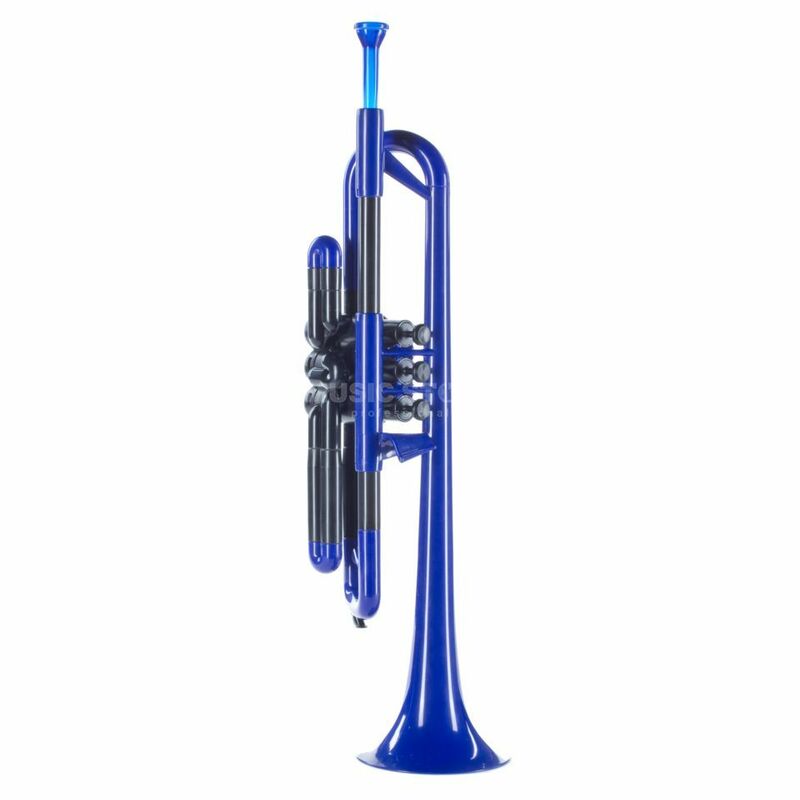 The pBone pTrumpet Plastic, Blue is a blue Bb ABS plastic trombone. After the plastic trumpet there is also a plastic trumpet made of high quality ABS plastic. The mouthpiece is made of patented polymer. The advantages of this instrument lie in its low price and low weight (500 g). Thus, it is ideal for very young beginners or even at parades. Visually the pTrumpet 2.0 is a real eye-catcher. Sonically, the ABS plastic trumpet can be also listening. Comes complete with a pocket and 2 mouthpieces!